Most people visit Prague because it's one of the most popular destinations in East Central Europe. But you shouldn't go to Prague simply because everyone else goes. Here are some real reasons to visit Prague. Prague has so many attractions you can return to the Czech capital city again and again and never see all of them. Prague's neighborhoods are each home to particular sights, so be sure to explore them all, from the Castle District to the Jewish District, from Old Town to New Town. Prague's annual events can make your trip even more memorable. Take advantage of free events, seasonal events, holiday parades, and yearly markets. Not only will you experience a taste of Czech culture, you will get some great photos, too. Most of Prague's sights can be reached on foot, but if hoofing it doesn't appeal, or if the weather isn't cooperating, Prague's public transportation options make getting around the city easy. Hop on the metro, catch a cab, or use the tram. Most attractions are only a few minutes away. Prague has a lively nightlife. Jazz clubs and other live music, busy pubs, modern clubs - all serving famous (and cheap) Czech beer mean that, after shops and museums close, you will still have plenty to do. Party all night if you choose. Looking for designer clothes or unique jewelry? How about seasonal ornaments and decorations? Souvenirs, all-natural soaps, puppets, glass, or antiques? You can easily double your luggage when you visit Prague, so pack light or bring an extra bag. Finding souvenirs of your stay won't be a problem. If you're looking for live classical music, Prague's churches and palaces offer evening concerts throughout the week and on the weekends. Jazz or other live music can also be easily found. During one of the city's music festivals, its schedule is packed with performances, so check what's on in Prague before you go. If you want to get out of the city, take a day trip to one of the many locations that are easily accessible by train in a few hours. Castles, spas, and medieval towns are all potential day trips and will add another dimension to your trip to the capital. Czech beer, including but not limited to pilsner, can be enjoyed for less than a bottle of water in Prague. Other spirits, like absinthe and plum brandy, are also on menus in Prague - try them all to determine which is your favorite. Prague is home to many world famous artists, authors, and poets, and museums throughout the city are dedicated to these individuals. The Mucha Museum and the Kafka Museum are both popular Prague attractions During Prague's holidays and festivals, folk performers, and choral groups take to Prague's squares and give free performances. Though a ticket to Prague from the States might seem steep, the actual cost of your visit can be manageable. 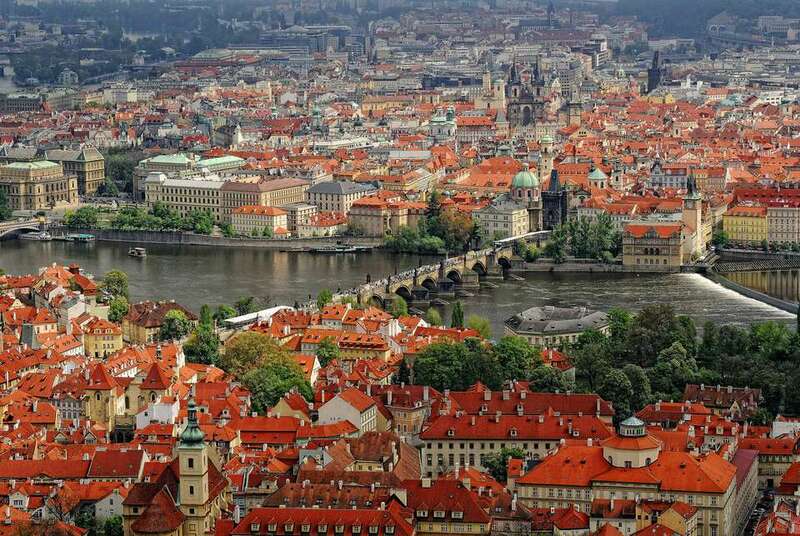 Though more expensive than other Eastern European destinations, Prague has plenty of free things to do, and many other attractions are still less expensive than they would be in Western European countries.